Thrive! Park is east of Highway 35 in Nelson (WI). Take Cleveland Street toward bluffs. 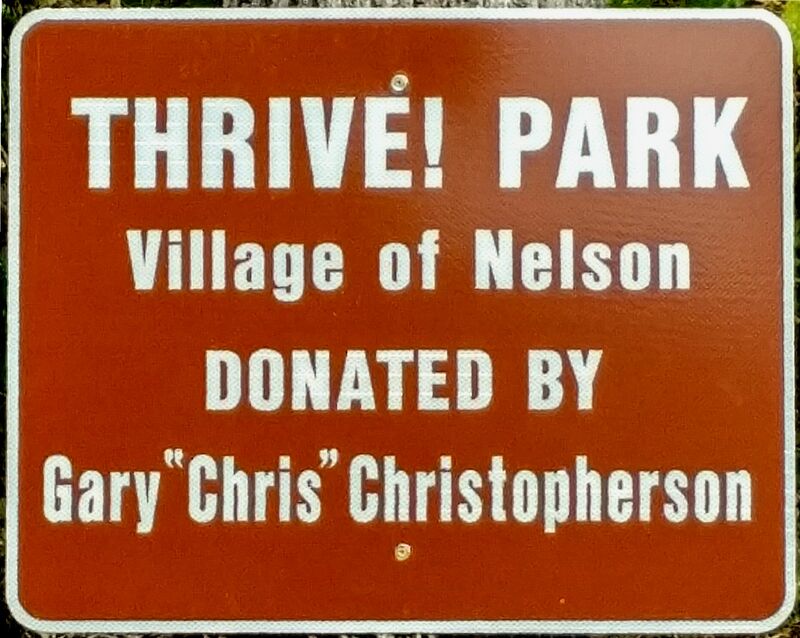 As you enter woods, turn left on Christopherson Road. There is a parking lot on right. Park entrance and road/trail markings are just left of parking lot. 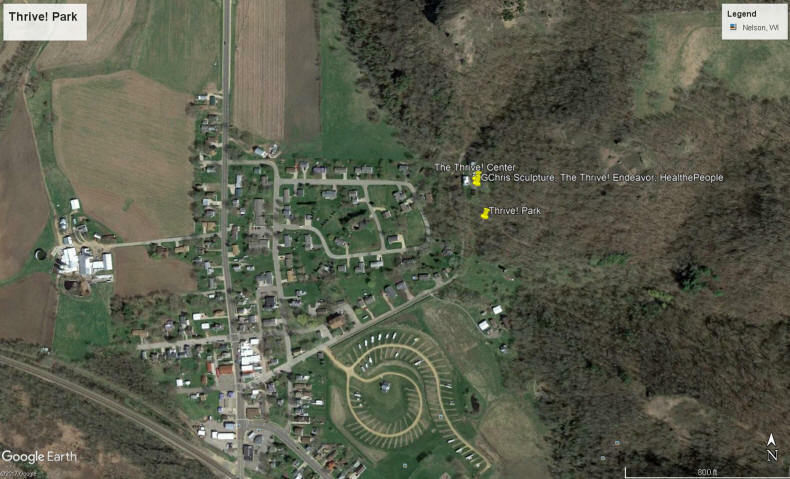 As shown on map, 25+ acre Thrive! 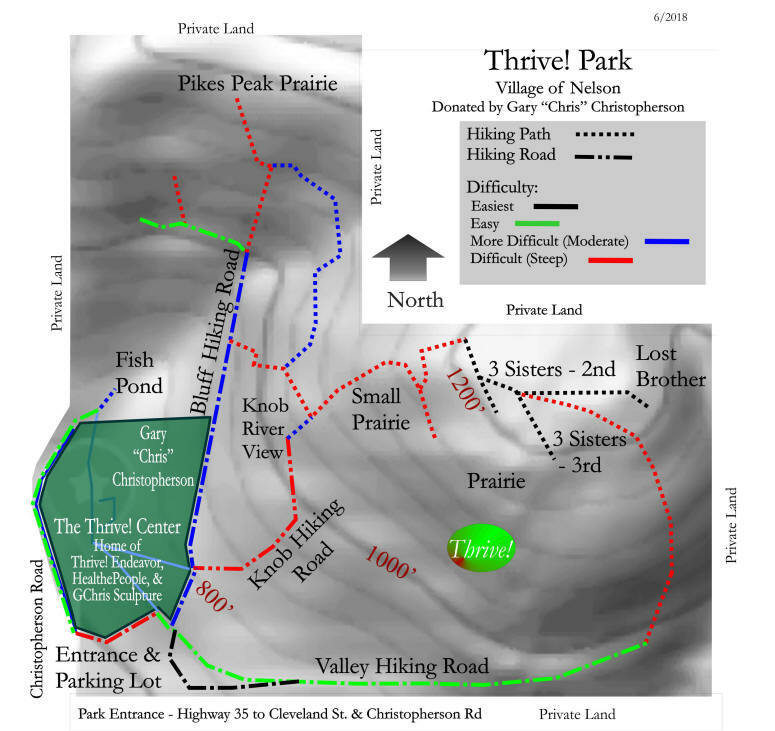 Park consists of hiking roads (marked in white going along bluff side and back through valley). Hiking roads are generally about 6+ feet wide and were primarily made from old logging roads. Also, there are several hiking trails (marked in white that go to restored bluff and prairie areas and can be accessed off the main hiking roads. 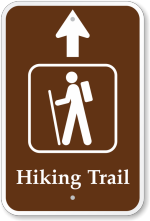 Hiking paths are generally about 3 feet wide and were created by the Donor using existing deer trails and creating new trails. Free maps are generally available at the Park entrance.